There are four citations in this book. Obviously, it is not intended to be an “academic” endeavor, per se, rather, it is Barbara Brown Taylor’s personal reflection on ministry and preaching, including sermons she has written. Thus, her writing, though powerful, is a reflection on the nature of preaching more than a “how-to” book of homiletics. We are increasingly living and preaching in a Post-Christian context. The Church and the world are disillusioned. Taylor makes the argument that this is a great place to be, if one has eyes of faith to see. In fact, disillusionment unmasks the lies and urges us to search deeper. In this atmosphere, our idols are unveiled and a more mysterious, dynamic vision of God is revealed. The call is an essential part of the preaching task. We are all called to follow Christ (vocation), but each is called to follow Christ using their unique spiritual gifts (office). The pastor is one among many equal callings. It is still a lofty calling to equip believers to do every good work. Christians are called to be mindful of the sacramental nature in the mundane elements of life. God is at work and calls us to see grace already present in the world. This is an imaginative act. That’s not to say that it is an act of fantasy. Instead, it is the ability to see with eyes of faith the underlying reality of God present and at work. Scripture plays an important role in this imaginative work. We don’t only read Scripture – but Scripture reads us. That is to say, that life is viewed through a new light that gives us new eyes for the situations in which we find ourselves. We wrestle with the text (despite its “human fingerprints”), finding that there is something more at work than the human element. 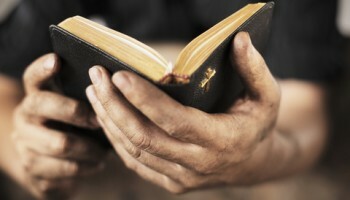 The Spirit breathes new life through the pages of these texts, even if we cannot “explain” them all. The liturgy of worship connects us together, both past and present. Worship, as Taylor suggests, is like a dance whose elements we have practiced for so long that they have become engrained in us. They become second nature. Word and Table shape the identity of the community by engaging all of the senses. God is made known through the tangible elements, teaching us that there is no real separation between the sacred and the secular. The rhythms of the liturgy inform the rhythms of our daily life outside of the sanctuary. The sermon is an interesting phenomenon. Taylor states that the parts of sermon construction can be taught, but it is difficult to teach how those parts go together. In mentioning her own “best” and “worst” sermons, she highlights the fact that there is more at work than just the preacher. It is a triangular relationship between God, people, and preacher that make up the sermon. Imbalance in one area is like a three-legged stool that is unstable and likely to fall over. As preachers, it is important to recognize this and not take ourselves too seriously. What may seem like brilliance to us in the study can fall flat to a congregation in the sanctuary. What may feel like a poor sermon may be given life by the Spirit in ways that we cannot imagine. 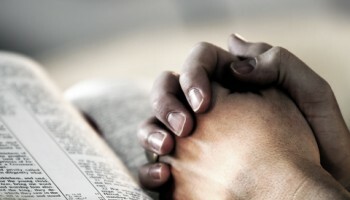 What matters most is that we are entrusting ourselves in our preaching to the One who is the Word. 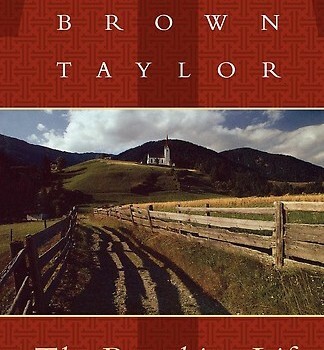 The final chapters are a few of Barbara Brown Taylor’s sermons. I will summarize what I learned from those sermons for the art of preaching. One of the things that struck me about her sermons was the fact that she weaves stories throughout her preaching of the text. These stories unlock or unfold something in the text that may not have been directly visible before. The use of stories invites the reader, sometimes unwittingly, to go along for the journey to meet the God of Scripture. Taylor also wrestles with the text and the questions of the congregation effectively. She gives voice to their concerns and acknowledges the difficulties in the passage. However, the sermon always ends with a Gospel message revealing how God is at work and present in the text. There is concrete language used, but her sermons utilize language to evoke the realities of the text in her hearers.